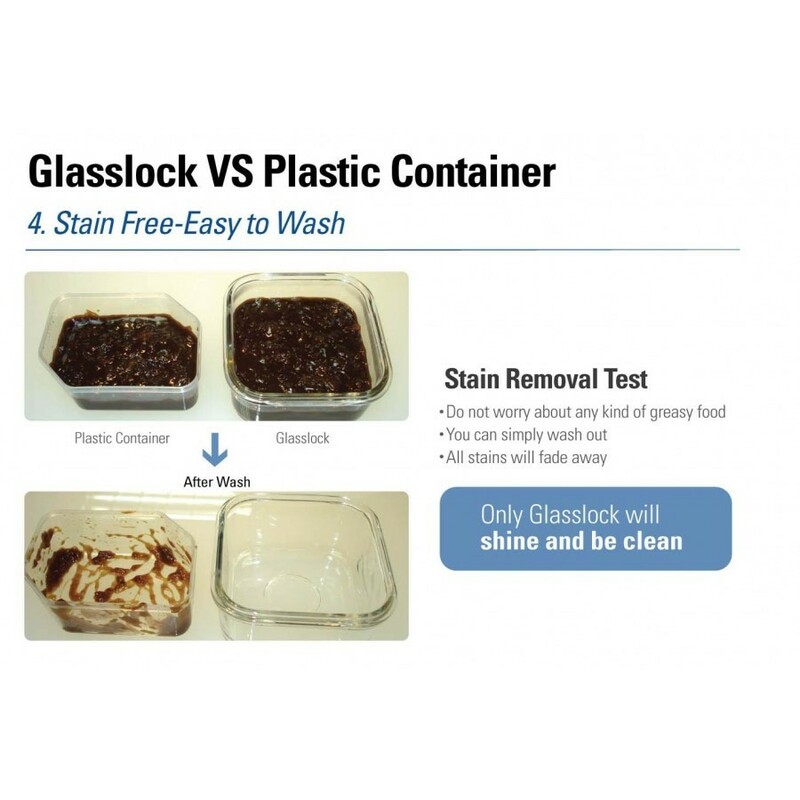 Non-toxic and non-reactive, very durable and stain-resistant, GlassLock containers are safe for the microwave, dishwasher and freezer. 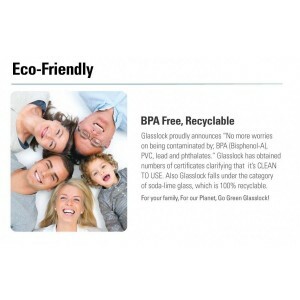 FDA-approved tempered glass is, of course, BPA-free, so you can feel confident that your family’s food is being stored in containers that are as safe as possible. 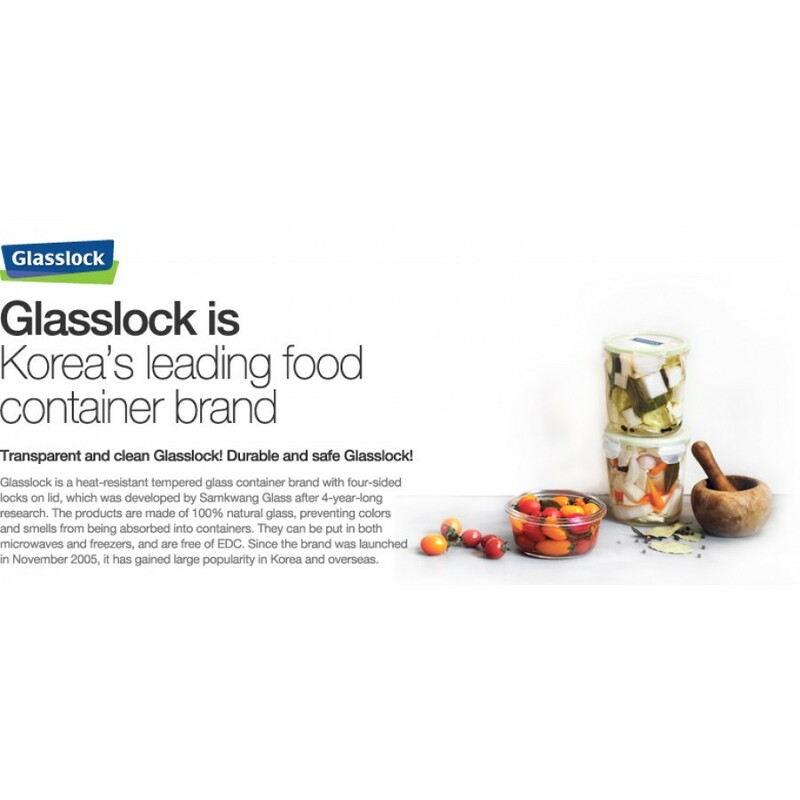 GlassLock’s products are also highly attractive and stack nicely, so they look great while bringing order to your pantry or refrigerator. 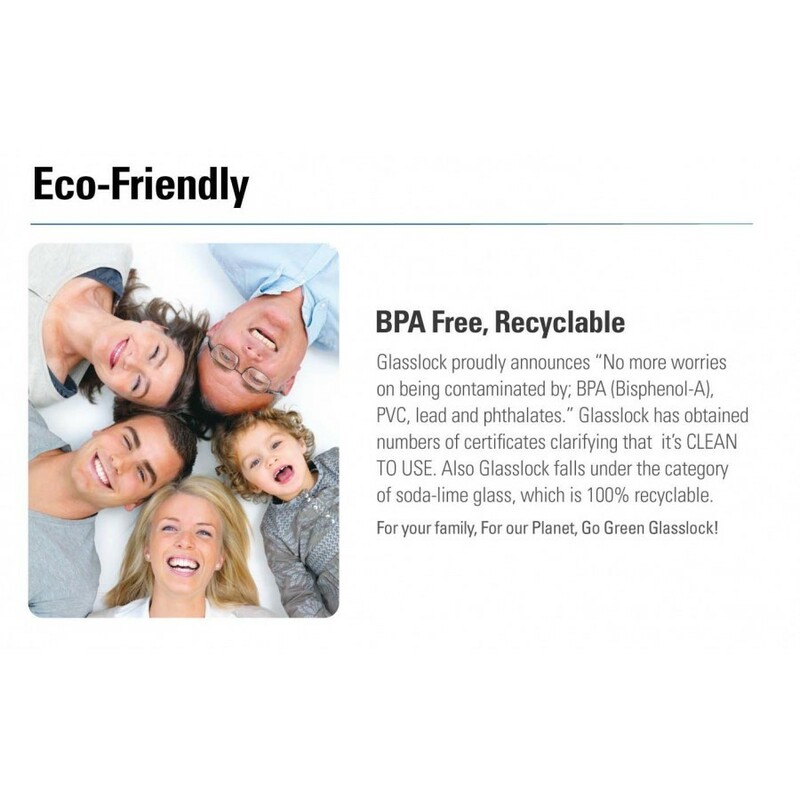 GLASSLOCK is made of silica, soda ash, limestone and other natural components, making it eco-friendly and recyclable.It is BPA free and does not contain any harmful environmental hormones. 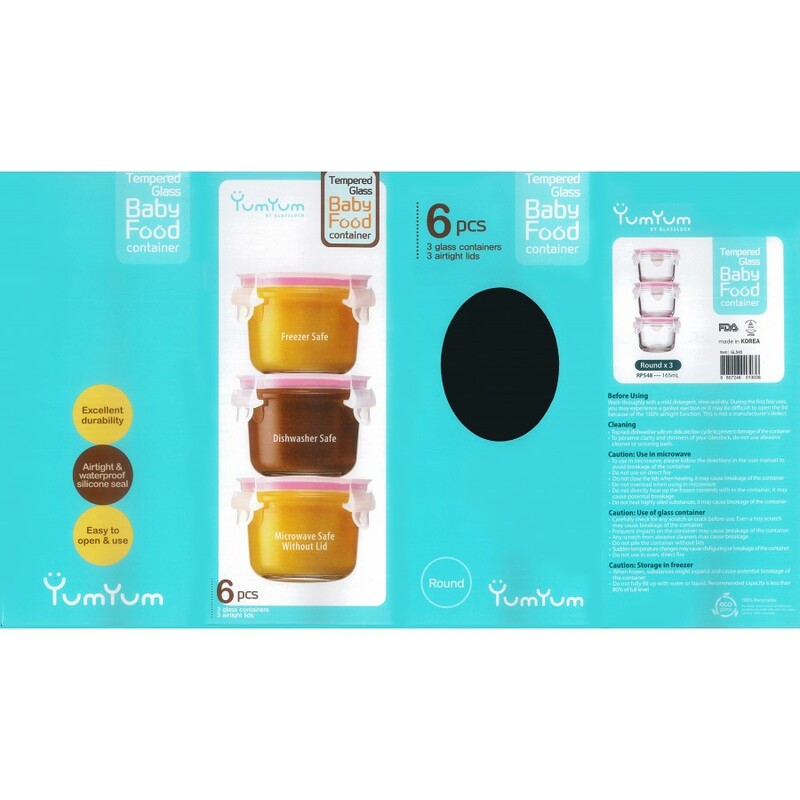 – Do not fully fill up with water or liquid. Recommended capacity is less than 80% off full level. 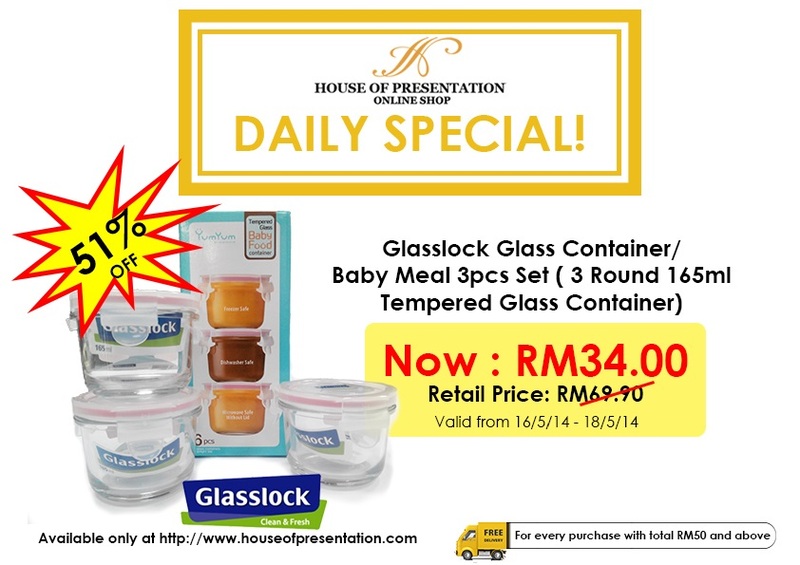 Because infants have a small portion of food that we need small containers. 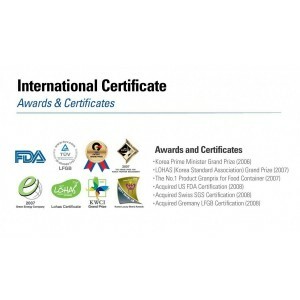 This will help us when the process after the presentation of the food is stored. 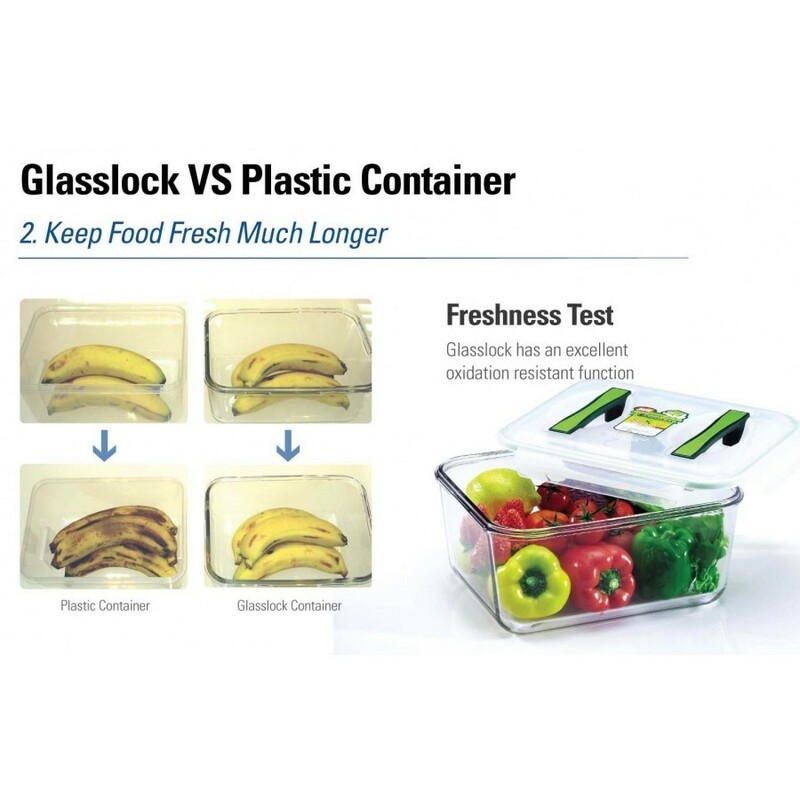 We only access the food that will be served while the rest remain in the container. But if we save large portions of the possibility of contaminated air and dust greater because often do open the lid. Each container contained silicone on the lid in order to ensure food inside airtight. 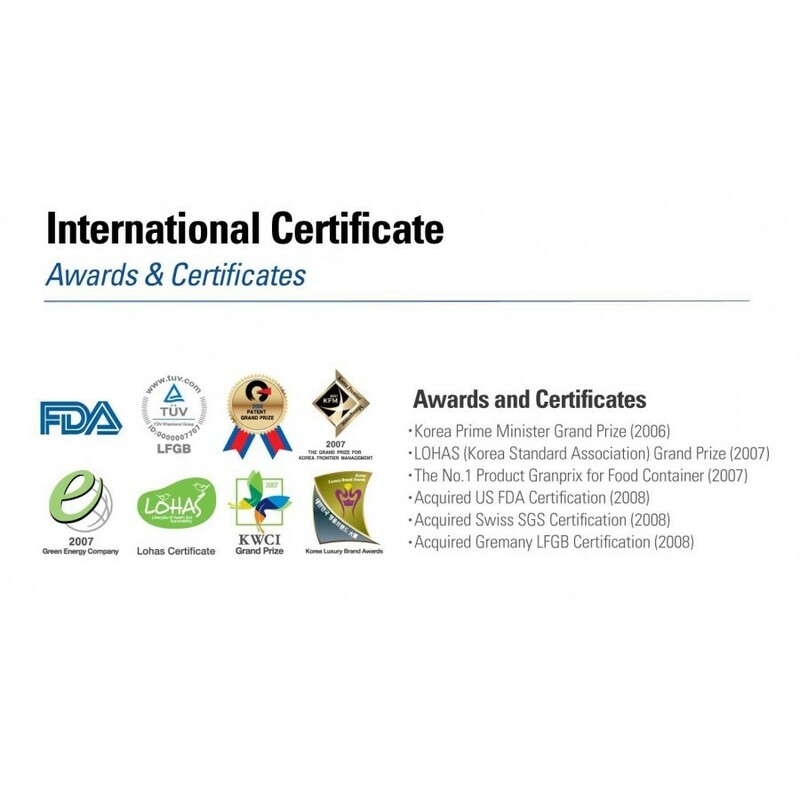 The presence of air in contact a lot of food in a long period of time can lead to oxidation so the vitamin is lost or generate new substances because there is a reaction between air and food.In addition there are 4 on each ear flap so make sure caps lock is attached very strong. 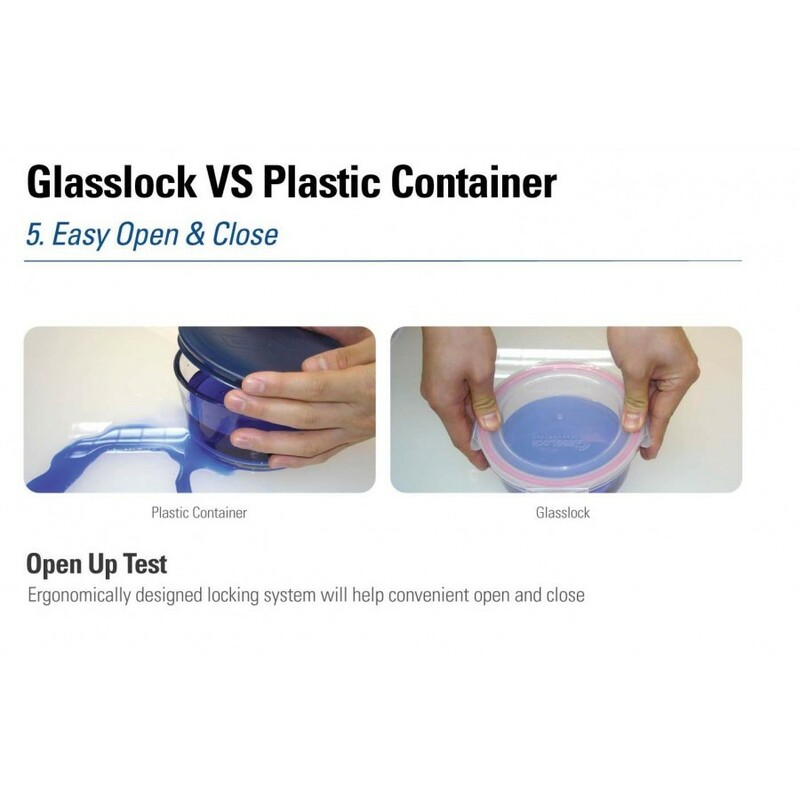 We Known a lot of people understand that glass is the best material for a storage container. 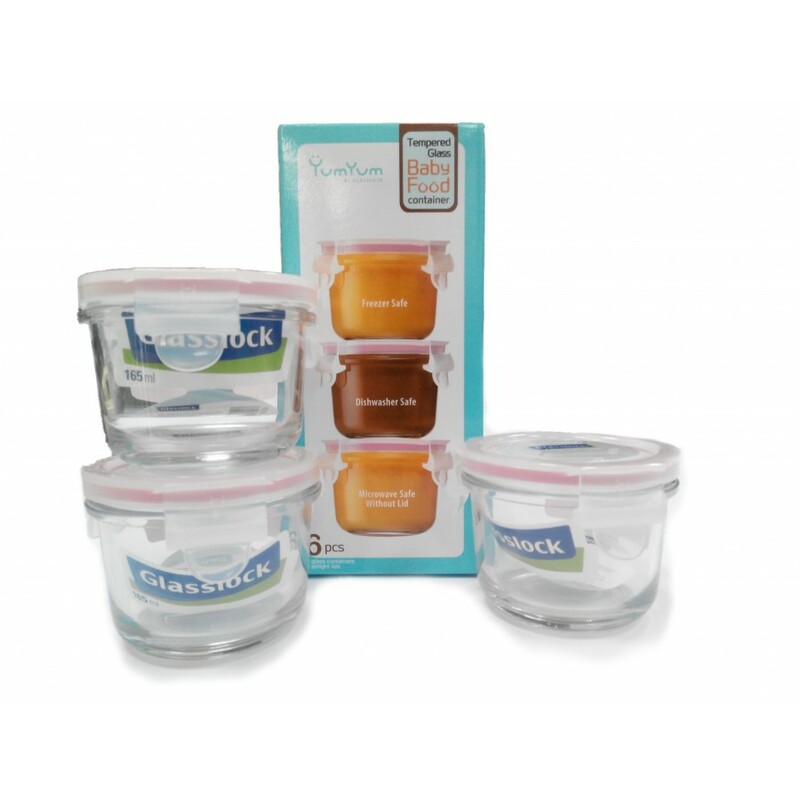 In addition please note that YumYum GlassLock Baby Food Container is made of tempered glass.Tempered Glass is a glass material mixed with oven with higher temperatures result is a glass that is stronger and if it breaks it will produce grains that are not sharp. 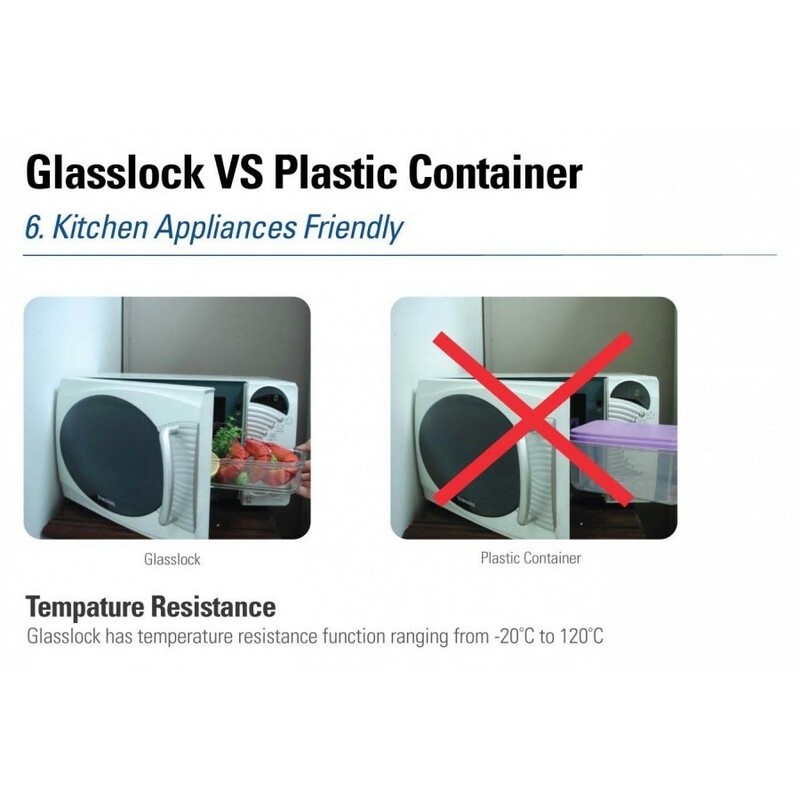 Tempered glass material is also safe to use both in the freezer and microwave. Is also a practical step of storage (eg refrigerators), warmed, and served directly in the container. Wash throughly with a mild detergent, rinse and dry. 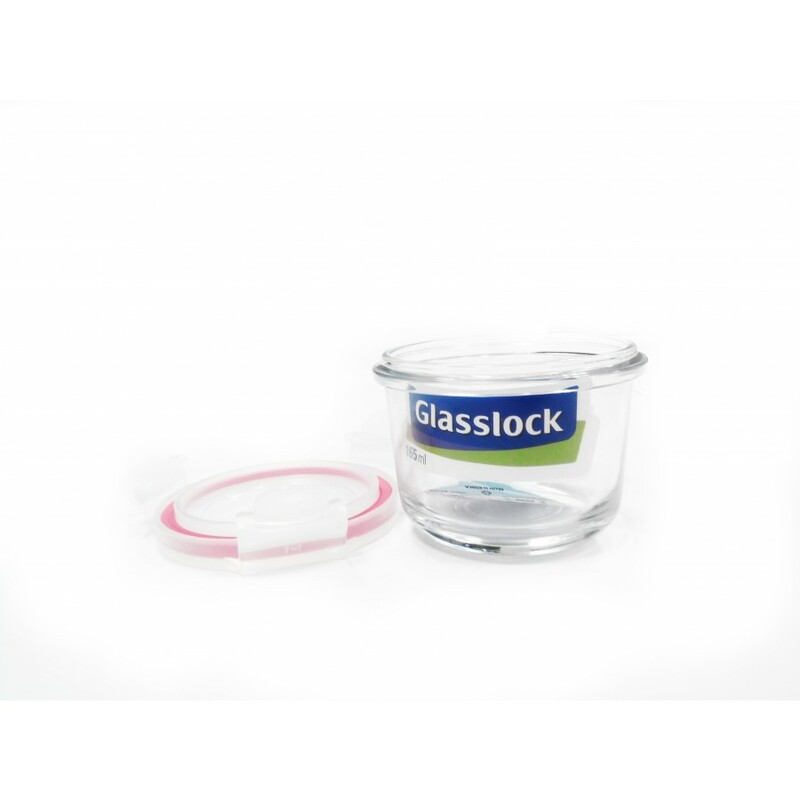 During the first few uses, youmay experince a gasket ejection or it may be difficult to open the lid because of the 100% airtight function. This is not a manufacturer’s defect. 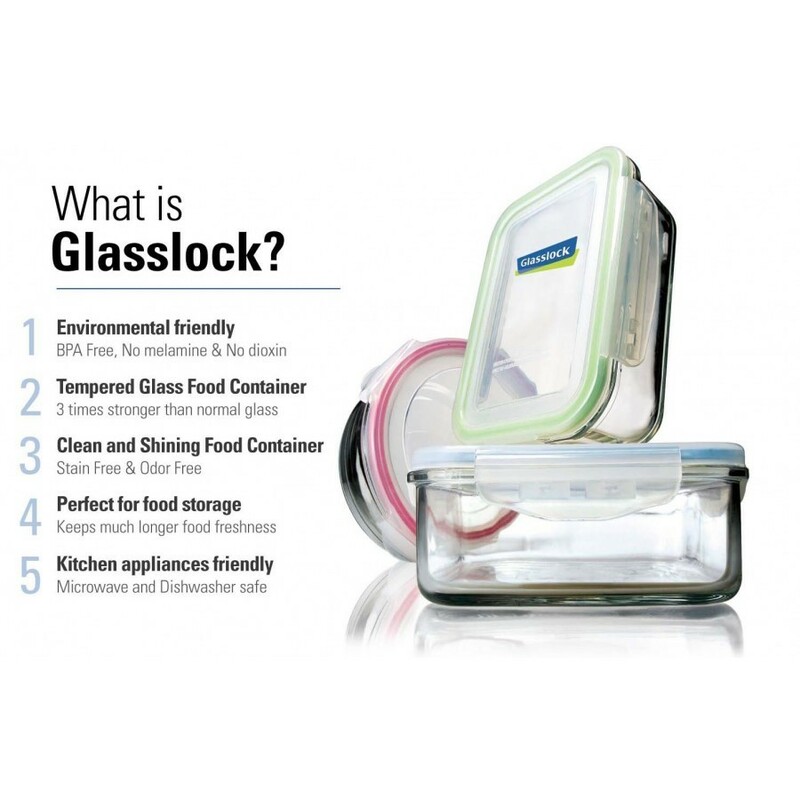 – Top rack dishwasher safe on delicate / low cycle to prevent damage of the container. – To perseerve clarity and shininess of your Glasslock, do not use abrasive claner or scouring pads. – To use in microwave, please follow the directions in the user manual to avaoid breakage of the container. – Do not heat highly oiled substances, itm ay cause breakage of the container. 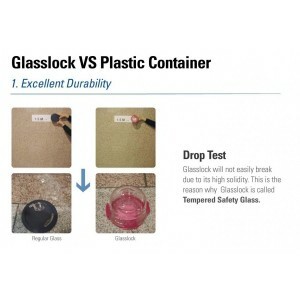 – Carefully check for any scratch or crack before use. Even a tiny scratch may cause breakage of the container. 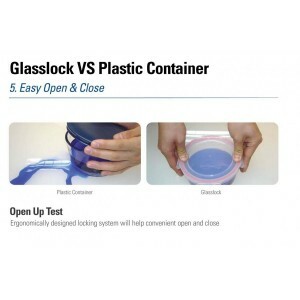 – Do not pile the container without the lids. 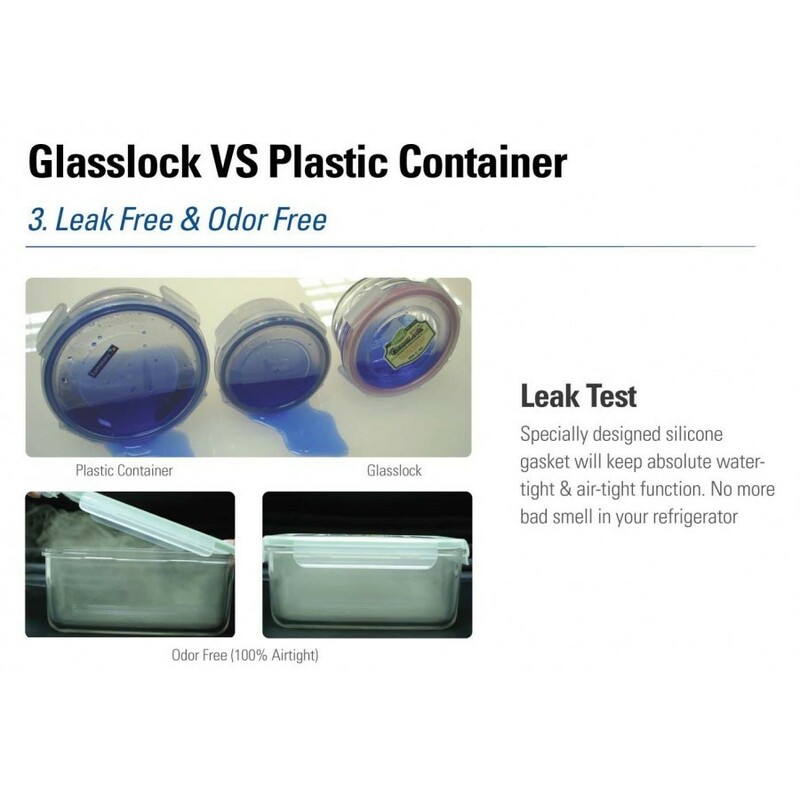 Click the link to view the Glasslock video. Click HERE to read Glasslock reviews.